It would be far too facile for me to sit here and offer you some kind of borderline sophism for or against Godard’s Film Socialisme. 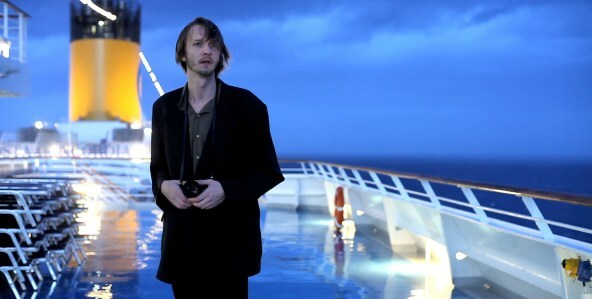 What the film seems to be is a tangential expounding of some concepts set forth in In Praise of Love with fewer constraints imposed by anything resembling a traditional plot. Perhaps what is most bothersome about the film, that I can quantify definitively as bothersome, is that the purposeful introduction of technical gaffes such as distorted audio, pseudo-poetic fragmented subtitles, pixelated video, in essence clouds an already opaque concept. However, the opacity is not the frustration but rather the willful misdirection. Godard clearly has something (many things) he wants to say with the film and because I know some French and I was aware I’d need to pick up pieces as I went I got some of it, however, the method of telling was always likely to be indirect, therefore, his not-so-subliminal commentary on modern filmmaking technology muddles much more important sociological, historical and political points he’s making. What the film struck me as was a free form essay wherein the printer didn’t get everything on the page. However, maybe it’s due to these very frustrations that one might go back to it. To be certain I wouldn’t have mulled the film over as much if it were not for these obstacles. Non-traditional structure and technique are certainly not that new, neither are the ideas put forth but the way they’re put forth are a bit unique. While imperfect maybe they were most apropos. After viewing the film it was next to impossible to score it. Prior to writing this I was prepared to give it a failing grade, however, it is its very lack of convention combined with its lack of a traditional storyline that makes it more compelling and more worthy of revisiting than the aforementioned In Praise of Love. This is a film that was completely unknown to me until it landed on Netflix recently. While it wasn’t very well distributed either I did manage to seek out and find Darren Lynn Bousman’s synonymous film last year. This film does benefit from the fact that it’s less oblique and let’s face it cutesy about its prophecy. However, what it lacks in pretentions it makes up for with overly transparent redundancies. However, I do have to hand it to this film for choosing to keep the proper thing clandestine and having a successful climactic sequence and a satisfying albeit somewhat confounding final twist and a good one before that. The success of the third act isn’t enough to make it good or something I’d recommend to a general audience but it’s worth a watch for open-minded genre fans for sure. 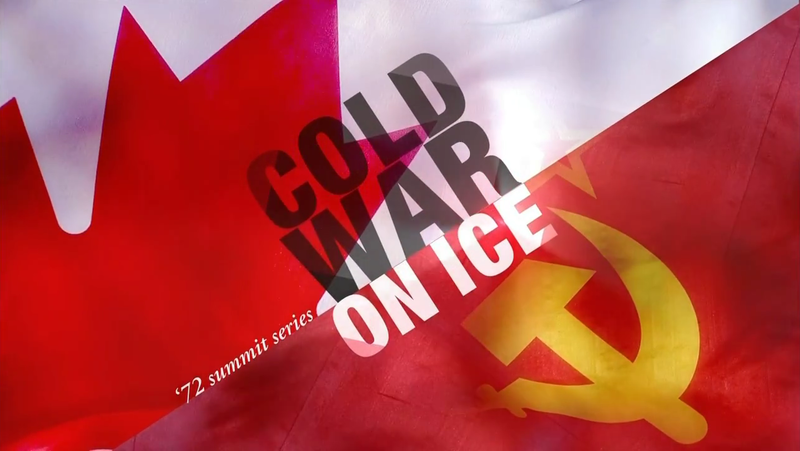 To accompany the launch of its new 24-hour sports network, which coincided with the conclusion of the NHL’s Winter Classic, NBC Sports Network also decided to debut a documentary about the Summit Series from 1972. It was a series of 8 “exhibition” hockey games between the Soviet Union’s vaunted team (a team that had won 10 consecutive world titles and four out of the prior five Olympic Gold Medals) versus a selection of Canada’s best and brightest (with very few exceptions) from the NHL. The importance of the series in the annals of hockey history is known to fans but is quickly illustrated to even the most lay of fan furthermore the piece really becomes about the series, it is in essence a sports film but it does a great job going back and forth between on-the-ice action and discussion and the off-the-ice intrigue of the series. While there is much interview footage it does a great job of letting the subjects tell the story and standing aside. Perhaps the most difficult thing this film tries to do, it accomplishes and that is to convey the gravity and the magnitude that this series of games carried for the Canadian people 40 years ago. Recently, ESPN has set the bar for televised long-form sports documentaries in the US. Here most if not all those 30 for 30 specials are surpassed. If NBC Sports Network continues to find compelling subject matter like this and convey it as well as they did they’ll be a bonafide contender in the sports documentary game. The Innkeepers is Ti West’s sophomore effort, following on the heels of The House of the Devil and it tells the tale of a pair of hotel employees left to their own devices in a haunted, rundown hotel on its closing weekend. They do some further paranormal investigating and get far more than they gambled for. While I can categorically say I like this film more than I liked The House of the Devil, especially upon second viewing, it still battles some of the same issues that film does. There are great performances by Sara Paxton, Pat Healy and Kelly McGillis which take this film up a notch above the prior by itself but as well as the film builds atmosphere and tension the incremental ratcheting up of incidents develops a bit too methodically to be as effective as possible. It has its occasional jolt but the ending leaves you wanting some. Leaving some details unexplained is fine but there’s a bit too much restraint throughout to have such a subtle payoff work ideally. Again, I stress that I enjoyed the film, West is clearly talented and I enjoy watching his films and seeing what he’s doing but at the moment his films play almost like the opening acts of Carpenter’s work. If he escalates and concludes a movie like Carpenter can he has classics waiting to happen in him. With that in mind I conclude by saying that I do anticipate highly seeing what he is capable of in a horror anthology where his running time is limited as V/H/S is one of the hot properties coming out of this year’s Sundance Film Festival.